Do you have lock issues that require urgent locksmith services? Looking for home locksmiths, auto locksmiths or commercial locksmiths? If you are in any area of South Dublin or near by then look no more. 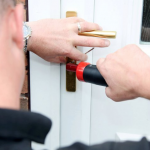 Whatever your lock problem is at whatever time of the day or night locksmiths South Dublin will get you covered. We provide 24 hours emergency lockout services to relieve you from the frustrating experience. You may lose your car keys, home keys or commercial business keys or maybe just in case they develop complications anytime requiring a quick fix we are in South Dublin to help with any lock related issues that may arise. We are your trusted security partners. We work with precision and high level of workmanship to make sure that your home doors, windows, lock repairs are in good shape and their security is reinforced. We will provide you with key and lock replacement for all doors ranging from commercial, residential to auto mobiles.